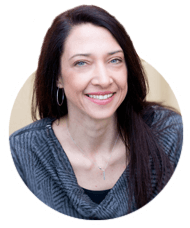 Tammy Faulds is the owner of Inner Travel Life & Death Coaching. She is an ICF certified coach (PCC), 500hr certified yoga teacher, The Daring Way™ certified facilitator and all-round perspective shifter who uses her skills to help people around the world retell their inner stories and choose their own adventures through life. Tammy believes that death is the ultimate event and that facing it doesn’t have to be scary – it can be beautiful, fascinating, thought provoking, and the key to a more fulfilling life, right now. 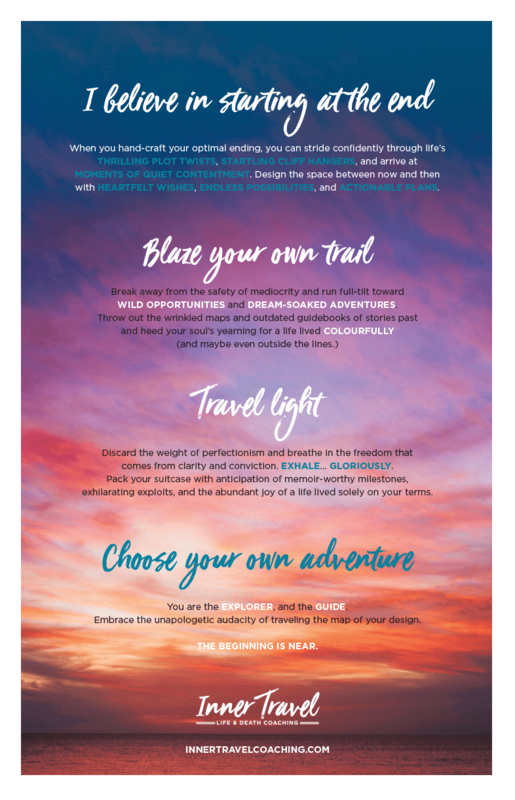 We created Tammy’s manifesto to invite people to see life and death as a connected adventure and inspire them to focus on living a memoir-worthy life. I LOVE IT!!!! Thank you for being so awesome and collaborative. I loved our call and felt heard and understood. I was nervous about sharing feedback but hearing you say, “great creative is a partnership” made me audibly exhale and I want you to know I’m so grateful for you and the work you do!! This is a fabulous offering and I’m so happy with my manifesto.